Inground pools sales, service and installations is our specialty! Whether it’s a brand new swimming pool install or an old swimming pool makeover. We want to make your back yard match your dreams. We also offer above ground swimming pool installations and pool liner changes. We service both inground and above ground pools in New Hampshire and Northern MA. We work with manufacturers that we believe in. All warranties on products are through the manufacturer. 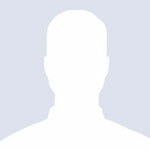 Please see the links of our manufacturers. 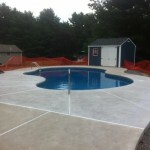 Best Betts Pools is a small swimming pool company in NH with lots of experience. We would even say that we are your “Best Bet”! Customer satisfaction is our #1 priority. That is why we put our last name, Betts, in the name. We put our name on it because we are going to be happy with any service or job that we do for you! We stand behind our services & products 100%! Give us a try today and we promise you will not be disappointed. We service Central and Southern NH and Northern MA.